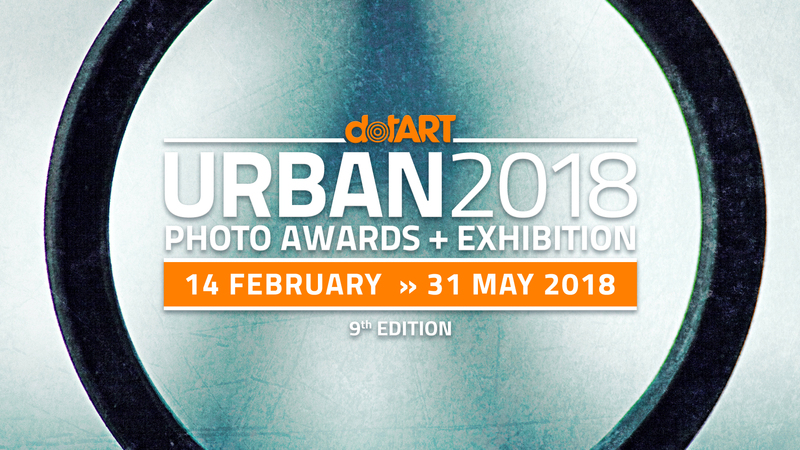 Italian art association dotART promotes the 9th edition of URBAN 2018 Photo Awards contest. The competition is open to all and features two distinct sections, one for Themed photos, one for Projects & Portfolios. It is possible to participate in both sections. The many aspects of the urban fabric and the lives that inhabit it: people, places and moments of aggregation, contrasts and contradictions, events, concerts, sports and culture. Urban spaces, buildings, streets, shapes and geometries, industrial archaeology and abandoned places. The relationship between people and art in the City: monuments, churches, exhibitions, etc. The human body, photographed posing or caught fleetingly on the road. Portraits, fashion, glam and kitch, conventional and unusual beauty. Photo editing and post-production are allowed. The animals in the City: far from their natural habitat but incredibly at home in our houses or along the city streets. Artistic, experimental, conceptual, visionary photos outside previous thematic areas (the main theme is always Urban Life). Photo editing and post-production are allowed. Each participant may submit up to 9 works and to each of them one of the 7 thematic areas must be assigned (in the upload form). The author is free to decide with how many pictures to participate in each thematic area. Portfolios must be made of a minimum of 3 and a maximum of 12 photos. Participants can run in both sections. Photo editing and post-production are allowed. Post production is allowed. Software corrections are to be kept to a minimum. Hard post production and photo editing are accepted only where explicitly indicated. The competition runs from February 14th, 2018, until midnight of May 31, 2018 June 17, 2018 (CET) NEW DEADLINE!. For the SECTION #1 » THEMED PHOTOS, in order for the first photo to be accepted, the fixed € 10 entry fee must be paid; further photos may be entered at a cost of € 5 per photo. For the SECTION #2 » STORIES & PORTFOLIOS, entry fee is fixed with € 30 for portfolio, regardless of the number of photos that make up the portfolio (min 3 photos, no more than 12). Each participant can submit a maximum of 5 portfolios. Entries may be made by completing the Themed Photos form or the Projects & Portfolios form, where you will also be able to upload the photos, and pay the submission fee (see Art. 7). “.jpg” format. NOT “.JPG” NOR “.jpeg”. If simultaneous upload of several images gives you an error message, please upload the images one at a time. UNDER-25 STUDENTS PROMO. All students within 25 years of age (therefore born from 1993) who will apply in “Themed Photos” section will be entitled to upload 2 more photos for free, regardless of the number of photos for which they pay the registration fee. Just select the “Student” box in the registration form and upload the photos (*). In the event that the photo of a student is among the winners, dotART could verify the actual age of the author and his regular enrollment in a course of study. (*) For example, if you pay € 10 you can upload up to 3 photos instead of 1 (2 free photos). If you upload 8 or 9 photos, please upload the remaining photos in a second phase, using the same personal data. * The prize value is 250 € and consists in a 3-night stay for 2 people only during Trieste Photo Days festival (last weekend of October 2018). On that weekend there will be URBAN Photo Awards Final Ceremony. If the winner is unable to come to Trieste he will not be able to redeem the prize differently. Prizes will be awarded before the end of 2018 as Amazon vouchers, net of tax. The highest placing works with be published on the competition’s website and will be displayed in a collective exhibit on October/November 2018, in Trieste during Trieste Photo Days 2018 festival. The printing of the photos will be the responsibility of dotART. Some of the entered photos may in addition be selected for exhibits in Italy and abroad. Our media partner Silvershotz will publish a selection of the winning photos and portfolios. The best ranked pictures (usually, 30% of the Selected photos – see Art. 9) could be chosen for “travelling” exhibitions around the world. The presented works will be selected by dotART and judged in a final manner by a prestigious Jury. Jury President Tatsuo Suzuki will personally choose and award URBAN 2018 Winner. The Jury and dotART reserve the right to award prizes to multiple works by the same author and change category to high ranked pictures. Finalists will be published on the website in alphabetical order (without ranking). Around 140 photos + 20/30 Projects & Portfolios. Winners will be published on the website in alphabetical order (without ranking): 35 photos + 5 Projects & Portfolios. Award ceremony and official announcement of Winners, Honorable Mentions and URBAN 2018 Winner chosen and awarded among other winners by Jury President at Trieste Photo Days 2018. Final ranking will be published on URBAN website and Facebook page. PayPal to paypal@dotart.it or www.paypal.me/dotart. Go to Payment page. Who participates in both SECTION #1 » THEMES PHOTOS and SECTION #2 » PROJECTS & PORTFOLIOS and wish to pay the subscription fee with PayPal will have to make two separate payments. If you wish to pay by bank transfer you can make a single payment specifying “Contribution to Urban Photo Contest 2018 section1 and section2 + Name + Email”.